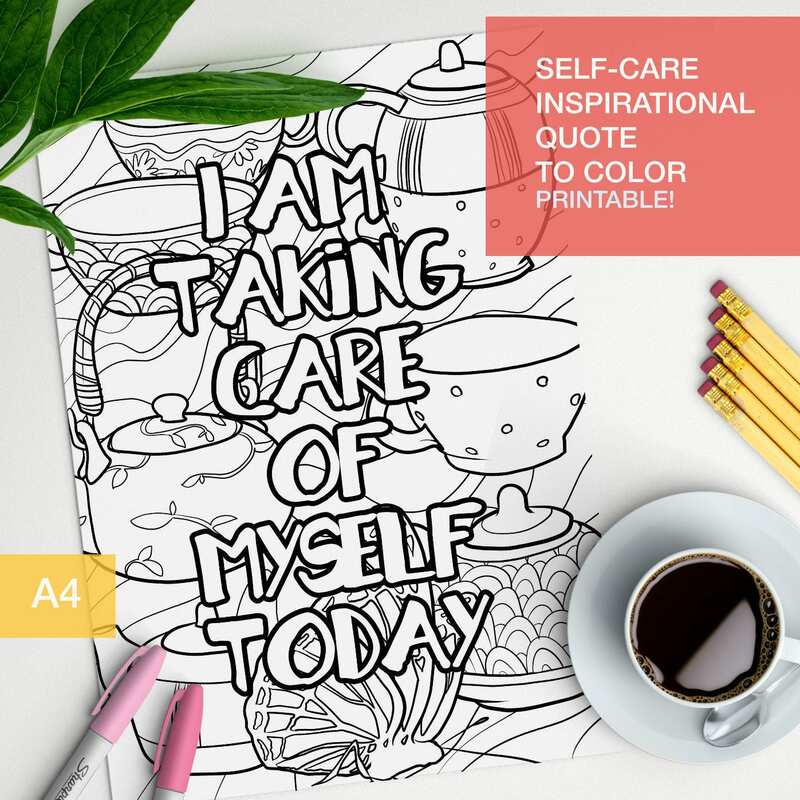 Adult color book inspirational coloring quote "I am taking care of myself today" with teacups and cups. Make your own inspirational art! !